Woo-hoo! 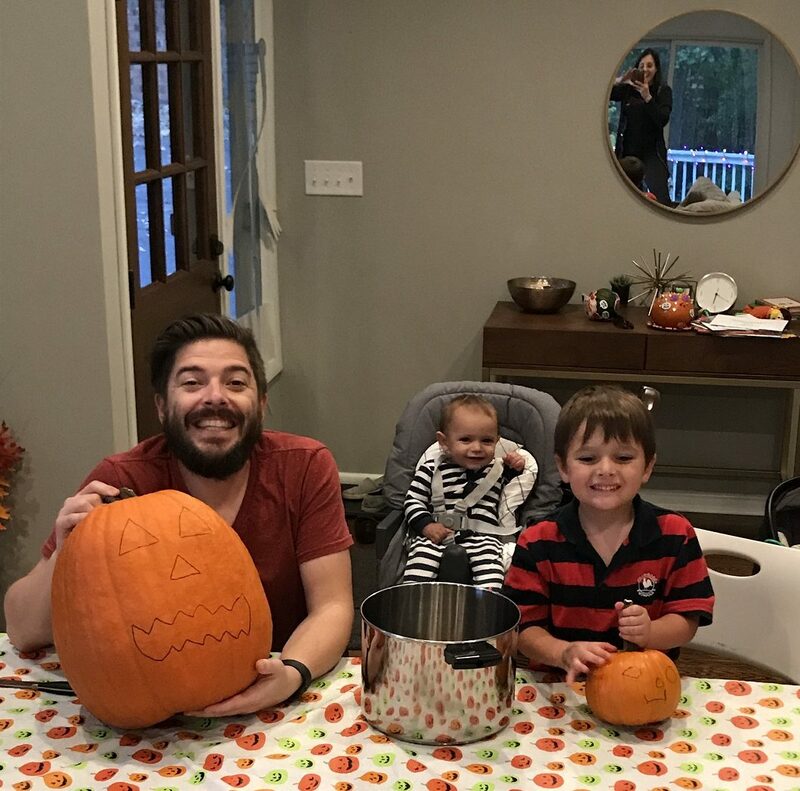 It’s been three four years since I’ve done a “Pumpkin Carving in the 919” post, which is funny because we’ve done so much Halloween-ing since then. Missed opportunities for blog posts. Schucks. Anyways, this year was Alex’s first year carving a pumpkin and the poor kid is so accustomed to his 7 p.m. bedtime that he was practically turning into a pumpkin while we were carving them, haha. It was also Zach’s first year designing and “carving” his own pumpkin. He was a bit grossed out by the “guts” inside and I ended up doing most of that work, but…the intention was there? Alex, on the other hand, loved feeling around inside of the pumpkin and touching the guts. Too funny. Alex watches Daddy cutting the big pumpkin and Zach cleaning out the little pumpkin. More cutting and scooping and watching. Zachy and Daddy with their first creation! Ta daaaaa! Alex is trying not to turn into a pumpkin.